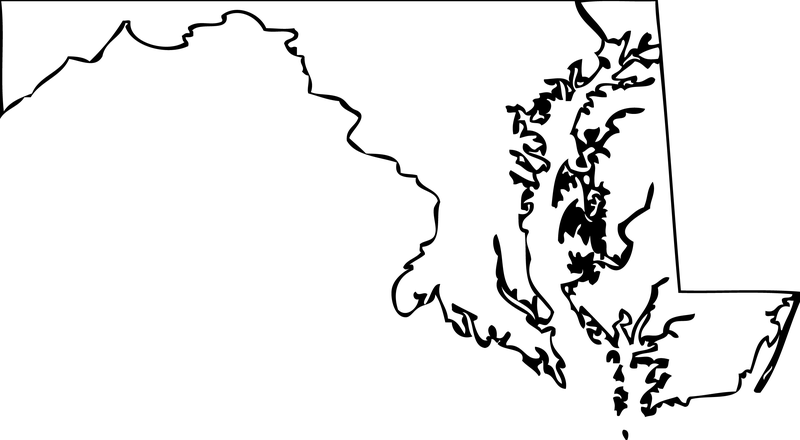 I’ve been playing around in InDesign, trying to create a fun way to show my love of the State of Maryland. I’ve been at it for a while, but have been super disappointed in the designs I’ve come up with. 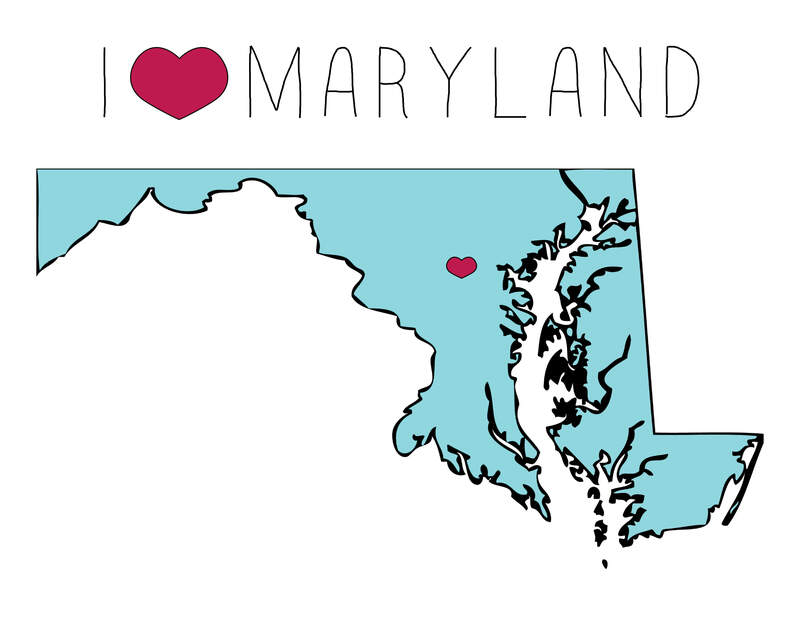 I saw a fun DIY post from Design That Inspires that inspired me to create a fun “I heart Maryland” print either for our home or my office at work. They painted their designs, but I’m not talented with painting at all. So, I turned my funky InDesign work-in-progress into my own version of their super cute State Love project. I started out by snagging an outline of the state off of the interwebs. Originally, I tried filling the outline with the names of cities and counties in the state. I haven’t completely given up on this idea yet, but it’s stumping me for now. The outline isn’t too pretty, so I used the Live Paint tool in Adobe Illustrator to change the stroke of the outline to look a bit smoother. I popped this image into Photoshop and quickly filled the white areas with a pretty shade of blue using the Paint Can tool. Then I uploaded the .PSD file directly into InDesign. Back in Illustrator, I created a ruby-red heart using the Pen tool. This is tricky, but I learned how to better use this tool in an Intro To Illustrator class I took recently. I copied this heart into InDesign and dropped it right over Columbia! Added my favorite new font, Mossy, to the top… and Voila! It’s too cute and not terribly difficult to do. Plus, I really do love Maryland. Best state ever! Virginia is for lovers and Maryland has crabs! I thought it might be you! Thank you 🙂 Hope you and your hubby are doing well! thanks for the shout out! Cute design too! Hello again! I’d love to get in touch with you regarding this piece of art. How can I order a print?